With over 2,500km of coastline, South Africa ranks third on the list of longest coastlines in the whole of Africa. It’s no wonder then, that there are abundant boat tours available to show off the incredible landscape from the unique vantage point of the ocean. Boats are suitable for all ages, come in a range of sizes for a range of budgets, and can take you places unreachable by other modes of transport – all with the benefits of fresh air! Thousands of people every year choose to experience South Africa from the water, so we’ve put together this article to showcase the best boat tours out there that will renew your appreciation for this fantastic country. 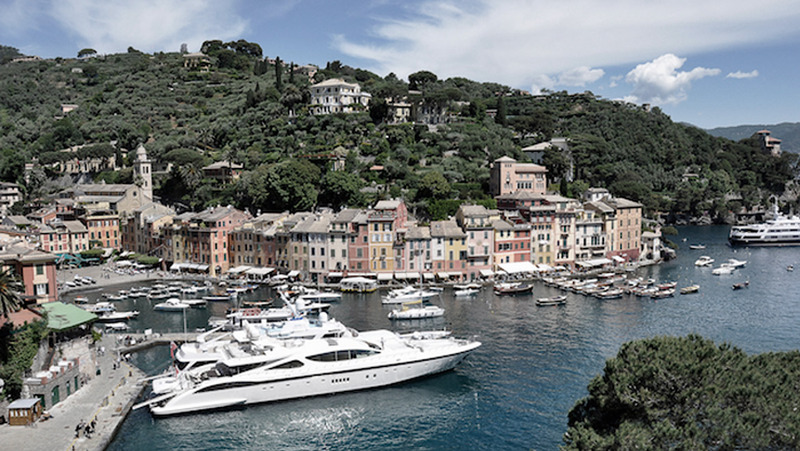 As always, boating tours also make unique experience gifts for loved ones, so don’t forget to check out our full range on the website here. The history of boating is a very, very long one, as rafts and canoes were some of the first methods of transporting people ever invented around 6000-7000 years ago. As soon as humans saw large bodies of water that needed to be traversed, the problem was identified and a solution was established, leading to simplified mobility, trade, and fishing among other benefits. In the modern era, ships account for approximately 90% of goods transportation, and there’s an estimated 1.5million people at any one time using boats as transportation or housing. Boats and ships have come a long way since the days of carved canoes; we now have rigid inflatable boats, luxury yachts, and monstrous cruise liners. The Symphony of the Seas is the largest cruise ship in the world, 1,188 feet long and able to hold 6,680 passengers over 2,759 rooms, the CMA CGM Benjamin Franklin is the largest container ship in the world at 1,309 feet, holding 18,000 twenty-foot equivalent units, and the fastest boat in the world is the Spirit of Australia, reaching 317.6mph. As with any technological advancement, us humans have pushed the boundaries and made everything bigger and better – and a whole load more expensive. A brand new super-yacht may set you back around R9 billion, or you can get a taste of luxury by chartering Princess Emma, a high-end motor yacht anchored at Clifton (only R44,100 for three hours). If, like the rest of us, this is a little out of your price range, fear not. Sightseeing boat tours do not have to be expensive, as long as you’re happy sacrificing the on-board cinema or bowling alley. You can still see the best South Africa has to offer, including great white sharks and whales, the Twelve Apostles mountain range, the iconic Durban skyline, and much more all for a reasonable price. Boat trips are exciting and entertaining so we hope you find the perfect experience below, but if you know of other boat rides that we’ve missed, please don’t hesitate to get in touch and let us know using the comments form at the end of the article. Boat ahoy! We’ve covered the history of boating and some crazy facts, so now we’re going to present a comprehensive list of our favourite boat tours in South Africa. 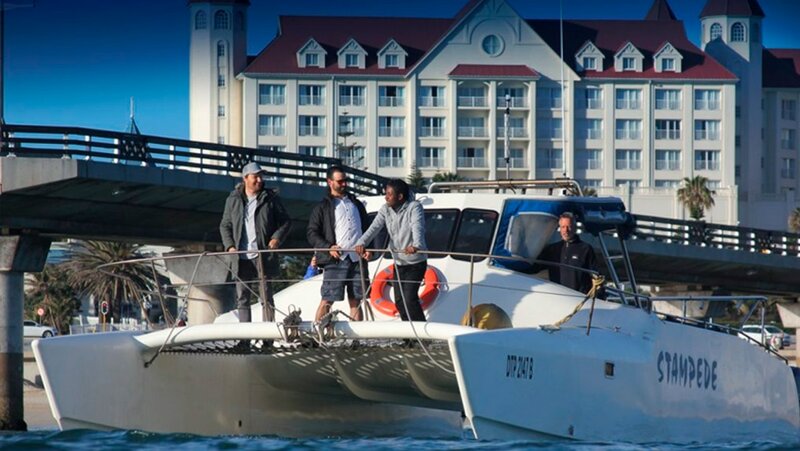 From sunset cruises in Cape Town to oyster farms tours in Port Elizabeth, there’s a waterborne experience suitable for every budget and location. Ocean Blue Adventures are experts in whale and dolphin spotting tours, and have a particularly high success rate when it comes to catching sight of these elusive animals. The crew know the best locations, the best time of day to sail out, and what signs to look for that indicate a beast of the deep might be lurking nearby. Setting off from Central Beach in Plettenberg Bay, the R500 dolphin-spotting tour heads past Arch Rock and around the Robberg Peninsula towards the disused whaling station, where you’ll get the opportunity to spot Common and Bottlenose Dolphins, the rare Humpback Dolphin, and even a few whales, seals and sharks if you’re lucky! 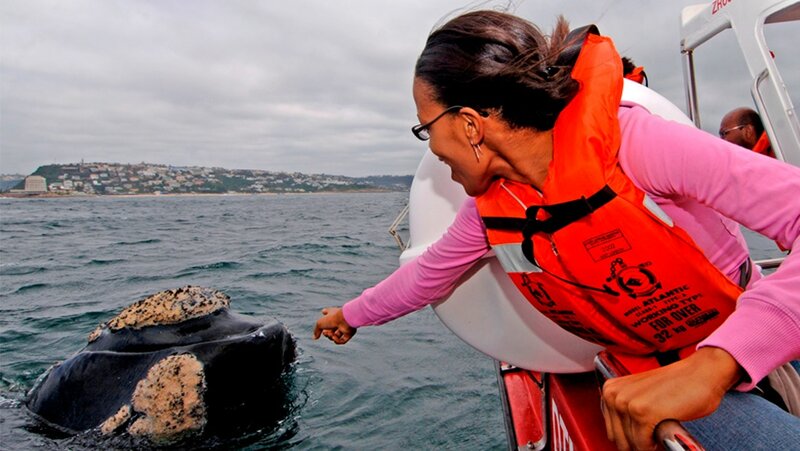 The R750 whale watching tour gives guests the chance to glimpse Southern Right Whales, Humpback Whales, and possibly Killer Whales – as close as 50m in some cases. Plettenberg Bay has some of the most scenic coastline in the Western Cape province, making these boat trips ideal for tourists and locals alike who want to experience the environment that these gentle giants call home. Purchase gift certificates for the dolphin and whale watching tours here. If you want to experience the luxury yacht lifestyle but without the hefty price tag, Tigger 2 has a cruising package to suit your needs. From as little as R350 per person you and a loved one can board the yacht at the V&A Waterfront and watch the sun go down with a glass of sparkling wine in hand, drinking in the incredible sunset views of the Twelve Apostles and central Cape Town city. The white leather interior and attentive staff only add to the indulgent experience, and an onboard bar means the wine can keep flowing. If romance is what you seek, then the Private Couples Lunch or Dinner Cruise for R15,300 might be more suited, giving you exclusive access to the boat plus a three-course meal to enjoy. This really is the ultimate romantic boat trip in Cape Town, and makes a fantastic way to propose! 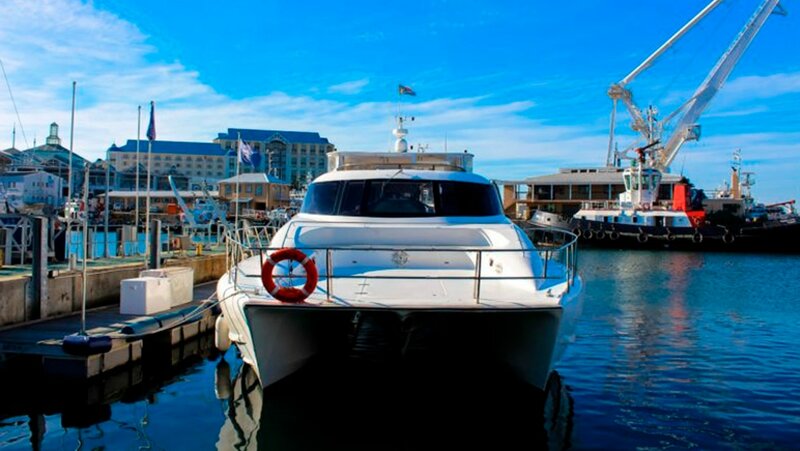 Tigger 2 is a stunning vessel that is bound to impress, whether you’re showing someone new around the city, experiencing Cape Town for the first time yourself, or perhaps looking for a unique date idea, Tigger 2 ticks all the boxes. Find gift vouchers for the sunset cruise here and the private couples cruise here. 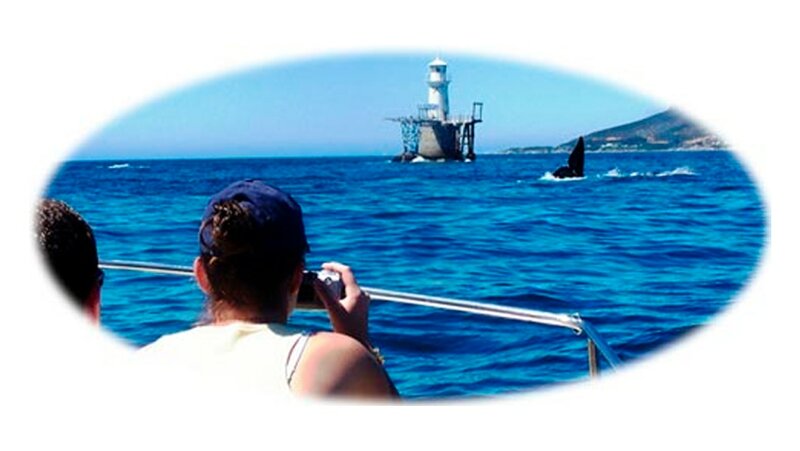 Operated by a friendly and knowledgeable couple, Stampede Cruises are your best bet for scenic boat tours in Port Elizabeth. With three packages to choose from starting at just R250, you can find yourself cruising along the PE waterfront, exploring the local oyster farm, or touring around the three closest islands that are teeming with wildlife. 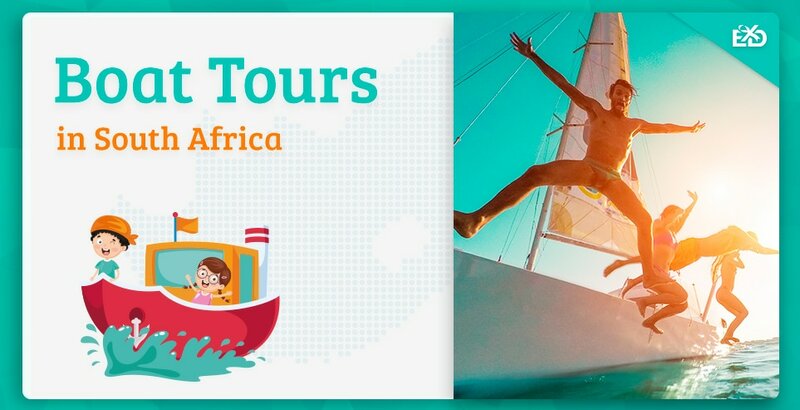 Starting at the PE Harbour, each tour takes place on Stampede Cruises’ 38ft catamaran, complete with sheltered seating area and trampoline at the front that’s perfect for catching those rays! The waterfront trip takes guests past the Humewood Pillars, Shark Rock Pier and Hobie Beach, then back to the harbour in time for a stunning sunset and dinner at one of the many restaurants. The oyster farm boat tour takes guests out to Zwembesi Oyster Farm, where you’ll learn about the industry and the harvesting process, plus get six fresh oysters to try on board! The islands cruise lasts four hours and costs R750, taking passengers around St Croix, Brenton And Jahleel Islands where you can spot African penguins and common dolphins around the rocky outcrops. Every trip is unique and exciting, and makes a fantastic experience gift for Port Elizabeth dwellers! Purchase gift certificates for all three tours here. Durban has a fabulous skyline right along the coast, so viewing it from the ocean during an hour long scenic cruise is an experience like no other. 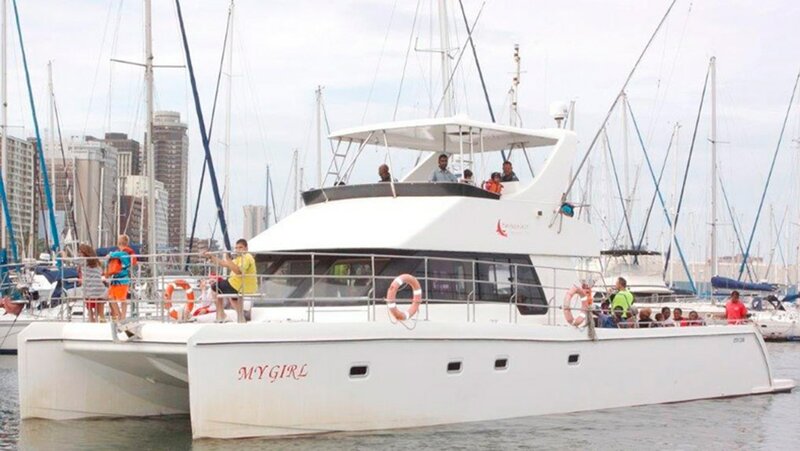 For only R180 guests can board the Hakuna Matata Charters catamaran and take in the wonderful sights, departing from Maritime Place at Durban Harbour and heading towards the open ocean – a price you don’t have to see to believe! From your unique vantage point you can make out the Moses Mabhida Stadium, 88 on Field, the Embassy Building, and many more iconic landmarks back on the shore. You can even take kids under 12 for only R120 each! 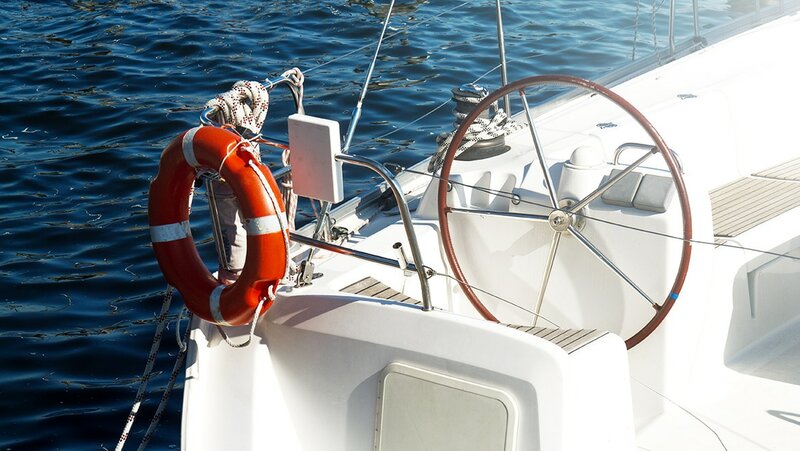 Better yet, you’re welcome to bring snacks and drinks on board to accompany your sightseeing adventure, so you can fend off scurvy whilst sailing along the KwaZulu-Natal coast, basking in the sun and admiring the scenery. The Durban marina sightseeing boat tour is great for those on a budget, and makes a fun day out to share with the family. Buy gift certificates for adults and children here. 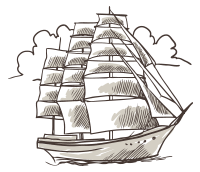 We couldn’t write a South Africa boat tours article without giving a special nod to the only pirate cruise ship in South Africa; Yacoob Yachts Jolly Roger Pirate Boat. 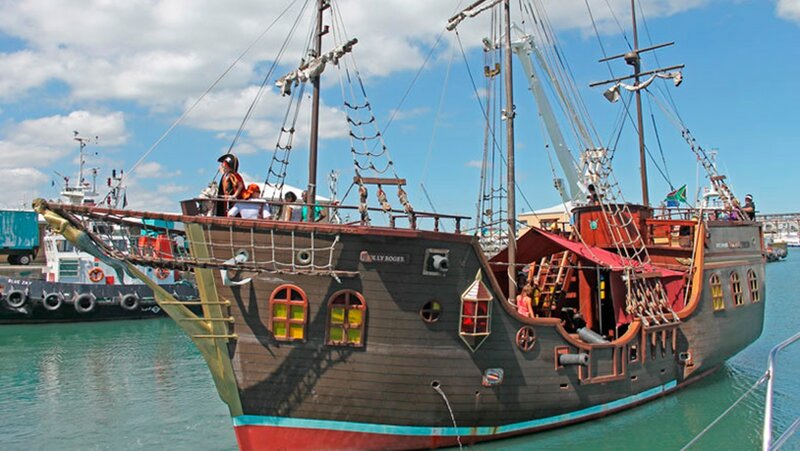 Yacoob Yachts offer boat tours in a variety of vessels including a tugboat, a luxury catamaran, and a speedboat, but none compare to the majestic Jolly Roger Pirate Boat that sails from the V&A Waterfront. At 62ft, the ship holds 75 passengers and departs from the Waterfront four times a day, offering guests the choice of morning, lunchtime, afternoon and sunset trips. There’s a cash bar on board, and the sunset voyage comes with a complimentary glass of sparkling wine! Take in the awesome views of Table Mountain, Signal Hill and Lions Head as you sail across the South Atlantic Ocean, keeping an eye out for whales and marine life as you go – just don’t forget your camera! The novelty of the décor makes this boat trip very popular with groups of friends or corporate parties, but also makes a fun experience to share with a loved one. The St Lucia Estuary is home to the largest hippopotamus population in Africa, and we can’t think of a better way to experience this wonder of nature than with a Hippo & Croc Boat Cruise with Advantage Tours. 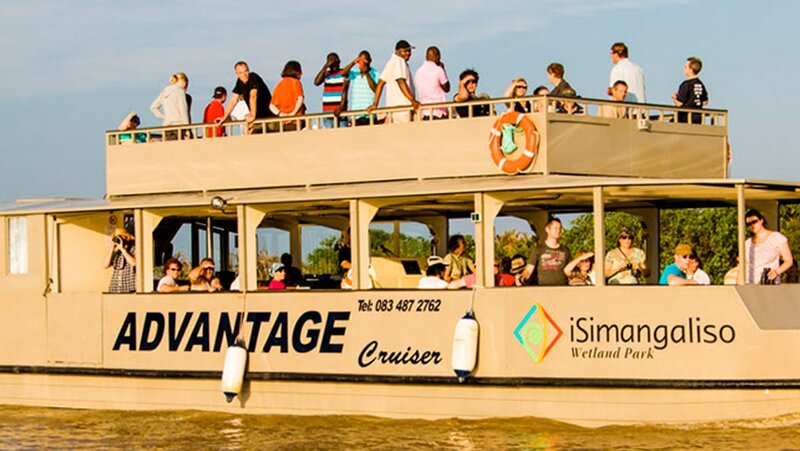 For only R220 guests can hop on board the double-decker ferry and enjoy a two hour tour around the wetlands, taking in the wonderful views and witnessing hippos and crocodiles in their natural habitat – better yet, if you don’t spot any hippos you get your money back! The on-board guide is highly knowledgeable about the surrounding eco-system and the wildlife that calls it home, so you’ll receive entertaining and insightful commentary as the boat sails down river. The wetland park is a World Heritage Site, meaning the tours operated there are highly regulated and entirely legitimate, so you’re guaranteed a memorable experience that you can share with your friends and family. The tour is suitable for everyone and makes a unique experience gift for animal lovers! If wildlife spotting, educational commentary, and discounted kids prices are what you look for in a Cape Town boat trip, then Simon’s Town Boat Company has a selection of cruises perfect for you. Children under 12 get R100 off every tour, and with choices including a Whale Watching Trip, Seal Island Cruise and Cape Point Cruise, you’ll want to do all three! Departing from Simon’s Town, each cruise includes an expert guide who will regale you with stories of shipwrecks, mutinies, and lighthouses. Depending on which trip you choose, you’ll also get to witness the indigenous whales and seals that live around the islands, and stop by Boulders Beach on the Cape Point Cruise to marvel at the African penguins that live there. These tours are great for kids because they’re as educational as they are entertaining, making them ideal for family days out or school holiday activity ideas. Who knew learning could be so fun! We’ve reached the end of our top 7 boat tours in South Africa, and we hope we’ve given you some fantastic ideas for days out and experience gifts. Boat trips are an underrated sightseeing excursion that many people overlook, but they offer unique perspectives on places we know and love, as well as new destinations waiting to be explored. The ocean has a calming nature to it that’s far removed from the hustle and bustle of daily life, so a few hours at sea is guaranteed to leave you feeling refreshed and renewed! If you have any questions or want to add to our list please get in touch using the contact form below, we’d love to hear from you and may feature your ideas in a future article. Until next time!